Copyright law protects owners who invest the time and money into original expressions of work. Business lawyer Robert G. Klein provides businesses with specialized legal attention regarding complex intellectual property law to end theft and copyright infringement. He will begin work immediately to stop the reproduction or sale of the copyrighted materials and will demand monetary damages for the infringement. How Does an Owner Secure a Copyright to an Original Work? Copyrightable works include literary, musical, dramatic, choreographic, pictorial, graphic, audiovisual, sound and architectural materials. 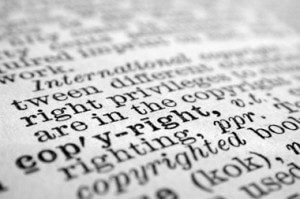 Copyright law protects owners from infringement from the moment of the work’s creation through the life of the author plus 70 years. Unlike trademarks, it is unnecessary to register your copyright. However, notice and registration of a copyright is highly recommended. You can file a notice with the U.S. Copyright Office to alert the public as to the work’s owner, year of publication and copyright protection. Plays or performs copyrighted audio material. If your company is experiencing theft of your protected works, it is essential to have a business litigator who focuses on intellectual property, trade secrets and copyright law to pursue available remedies to the fullest extent of the law. Our Los Angeles business litigation lawyer is prepared to send copyright infringement notices on behalf of businesses to stop the infringement immediately and to seek monetary damages in court. Attorney fees and costs to prevailing parties. Robert G. Klein has over 25 years of experience representing businesses protect intellectual property rights, and he is an aggressive advocate for victims of copyright infringement in commercial and business litigation. Contact us today to discuss your legal rights and the available options, including filing a copyright infringement lawsuit. Call (323) 405-1002 today to schedule a free consultation with us, or submit a confidential contact form on the side of the page and someone will contact you soon.